Invisalign® Pembroke Pines | Allen Dental, Inc.
Hugh Allen, DDS helps his patients achieve their ideal images through clear braces, which address mild misalignment of the teeth. Allen Dental, Inc. provides Invisalign® clear braces in Pembroke Pines, Miramar, and the surrounding communities. Traditional braces are a system of metal brackets and wires. By cementing brackets onto teeth and running the wires between them, consistent force is created that repositions the smile. These braces are effective, but they also stand out in the smile. For patients whose orthodontic concerns are mostly—if not entirely—cosmetic, using traditional braces may not be necessary. For patients with minor cases of aesthetic teeth misalignment, Invisalign is an effective alternative to traditional metal braces. The treatment consists of a series of aligning trays that are swapped out every two weeks, gradually realigning the smile across the course of treatment. 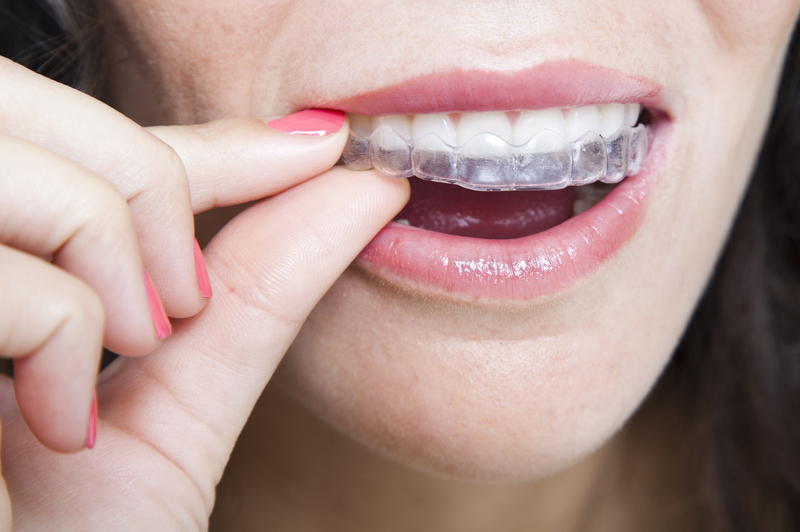 The main advantage behind Invisalign is that the aligning trays used are clear, making them difficult to point out in the smile. Many teens and adults avoid desired orthodontic treatment because they fear the unaesthetic qualities of traditional braces. However, by using Invisalign clear braces, these patients can develop a straighter smile without any detraction from their natural beauty. Because Invisalign treatment is recommended for minor to moderate alignment problems, it can be completed within 12 months. Traditional braces often have to be worn for two years. Wearing traditional braces requires changing your diet and the way you brush and floss. This is because braces are cemented onto the teeth, and your oral health during treatment depends upon your ability to clean around the braces. However, Invisalign’s trays are removable; as long as they are worn for a total of 20-22 hours per day, taking the trays off and putting them back on does not delay results. You can thereby receive the orthodontic care you need without changing your diet or oral hygiene routine. Allen Dental, Inc. provides Invisalign in and near Pembroke Pines, helping patients develop more beautiful smiles. For more information on our orthodontic services, call or email our practice today!